You are here: Home » Blog » Wisdom Tooth Infection Symptoms: Are You Entitled to Claim? Wisdom Tooth Infection Symptoms: Are You Entitled to Claim? Anyone who has endured wisdom teeth problems will be well aware of how horrible it can be, and in many cases, the only option is extraction. But for some people, this isn’t where things begin to improve — in fact, they get worse. A wisdom tooth infection can cause a wide range of problems, and your dentist may be the one to blame. Wisdom teeth are an area of the mouth that can prove to be particularly troublesome, not only when they emerge (push through the gum), but also if any other complications occur. If you are having problems with one or a few wisdom teeth, the only solution may be a wisdom tooth extraction. When it comes to any oral treatment — even if it’s just a check-up — you’re putting a lot of trust in your dentist, and doing so with the utmost faith that any work will be carried out efficiently, to a high standard. Unfortunately, this isn’t the case for everyone. Sometimes, negligence or inefficiency can cause additional problems, such as a wisdom tooth infection. In this post, we’ll take a look at the various symptoms of wisdom tooth infection, and whether or not you’re entitled to claim. After a wisdom tooth extraction, there’s a fair amount of pain and swelling, as well as the potential for bleeding, bruising and an unpleasant taste in your mouth. You can expect some aches, pains and stiffness for 1-2 weeks after the extraction, and they all are perfectly natural ways for your body to react to surgery. But If you’re experiencing any of the following symptoms during or after a wisdom tooth extraction, it could be a sign of infection. A sudden increase in your body’s temperature is a sign that your body is hard at work fighting off an infection. Therefore, if you are running a fever shortly after your wisdom tooth extraction, there’s a likelihood that you have an infection in the hole or ‘socket’. As there is such an abundance of bacteria in our mouths, it would be easy to assume that infections aren’t uncommon, but it could actually be a sign of negligence or inefficiency. If you suspect that your dentist hasn’t provided the level of care that’s expected of a medical professional, you may be entitled to claim. Negligence, in this case, could mean that didn’t clean the socket efficiently during the procedure, or that they failed to diagnose and treat an infection in the necessary timeframe. While pain and discomfort are to be expected after a wisdom tooth extraction, if you are suffering from prolonged, severe pain, then there’s a possibility that the real problem is a dry socket. This is where the blood clot protecting the wound is lost, and therefore creates an opening for infection. Although this will prolong the wisdom tooth extraction healing time, a course of antibiotics from your dentist should do the trick. 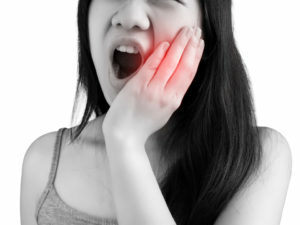 It’s also important to note that pain following a wisdom tooth extraction could be for a number of other reasons, and a few of which could be down to malpractice and negligence. One example is nerve injury, which is a known risk during this procedure, but if it looks as though the cause is negligence you should definitely claim. Also, damage to other teeth due to poor technique could also cause unexpected problems and, ultimately, a lot of pain. If you have noticed any weeping discharge or pus in and around the wound, then it’s a telltale sign that an infection is present. As the discharge builds up and fills the hole in your gum, it will leak into your mouth and cause a less than desirable taste. The mouth is a very sensitive area, so it won’t take long before you notice the taste and realise something is wrong. Again, in this instance, a course of antibiotics will prevent further discharge. A foul taste and pus in your mouth is something no-one should have to experience, especially if it’s due to a medical procedure. While infection can sometimes occur on its own, if you feel that more could have been done to prevent it happening, you’re well within your rights to claim — especially if you have had to take time off work and are now are out of pocket. Have you had to endure an infection following your wisdom tooth extraction? Your dentist may be to blame. Get in touch with Dental Law Claims today to book your FREE dental claim consultation.